Enjoying the many benefits of the Mediterranean diet is one of the smartest things you can do for your health. Cognitive decline, heart disease, cancer, depression, diabetes, and osteoporosis can all be battled with this popular diet. 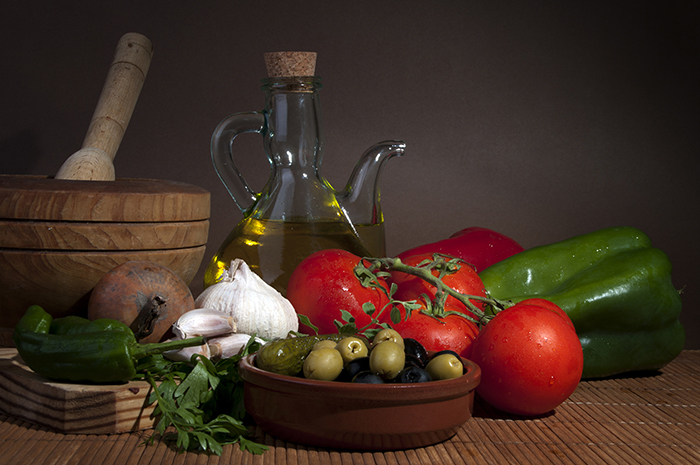 Among the staples of a Mediterranean diet are vegetables and healthy oils (particularly olive oil). The Mediterranean diet, centered around fruits, vegetables, olive oil, nuts, legumes, and whole grains, is good for everything from your brain to your bones. Learn the benefits of the Mediterranean diet—and how to use it to prevent cognitive decline, heart disease, depression, and even cancer. A wide range of studies have shown that people who eat a Mediterranean diet experience significant health benefits, ranging from reduced blood sugar to better memory. Below, we offer more details on the health advantages of this popular eating plan. 1. Preserve memory and prevent cognitive decline. Full of healthy fats for the brain, the Mediterranean diet can be good for boosting brain power and preventing dementia and cognitive decline. In one study, researchers found that high adherence to a Mediterranean diet was associated with a 40 percent reduced risk for cognitive impairment. 2. Reduce your risk for heart disease. Studies show that following a Mediterranean diet can greatly reduce your risk for cardiovascular disease, including coronary heart disease, myocardial infarction (heart attack), and stroke. 3. Strengthen bones. One study suggests that certain compounds in olive oil may help preserve bone density by increasing the proliferation and maturation of bone cells. Another study found that dietary patterns associated with the Mediterranean diet may help to prevent osteoporosis. 4. Manage diabetes and control blood sugar. The Mediterranean diet has proven beneficial effects for diabetes. It might be able to prevent type 2 diabetes and can help improve blood sugar control and cardiovascular risk in those who already have it. 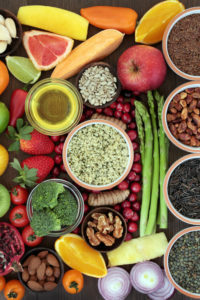 When the Mediterranean diet was compared to a low-fat diet, people with type 2 diabetes who followed the Mediterranean diet fared much better; fewer people needed treatment, and they experienced greater weight loss and better blood sugar control. 5. Fight depression. People who follow the Mediterranean diet may be protected against depression, too. [2,13,14] A 2013 study found that people who followed a Mediterranean diet most closely had a 98.6 percent lower risk of developing depression than people who followed it the least closely. On a Mediterranean diet, you should be eating fruits, vegetables, and healthy fats like olive oil multiple times per day; legumes and unrefined whole grains at least once a day; and fish, nuts, and seeds multiple times per week. Saturated fats and refined sugars should be limited to special occasions only. There are countless Mediterranean diet recipes on the Internet. Here’s a sampling to get you started: —almond meal crusted fish, balsamic-seasoned cauliflower, and sautéed green beans. 2. Ann Neurol. 2013 Oct;74(4):580-91. 5. BMC Med. 2013 Sep 19;11:207. 6. Rev Esp Cardiol (Engl Ed). 2015 Apr;68(4):290-7. 7. Am J Physiol Endocrinol Metab. 2015 Sep 1;309(5):E440-9. 8. Int J Food Sci Nutr. 2014 Nov;65(7):834-40. 9. Int J Food Sci Nutr. 2013 Mar;64(2):155-61. 10. BMJ Open. 2015 Aug 10;5(8):e008222. 11. Diabetes Res Clin Pract. 2010 Aug;89(2):97-102. 12. Ann Intern Med. 2009 Sep 1;151(5):306-14. 13. J Nutr Health Aging. 2013;17(5):441-5. 14. BMC Med. 2013 Sep 20;11:208. 16. JAMA Intern Med. 2015 Nov 1;175(11):1752-60. 2 diabetes, aging, blood pressure, blood sugar, blood sugar control, bone, bone density, brain, brain power, breast cancer, cancer, cancers, cardiovascular, cardiovascular disease, cardiovascular risk, cardiovascular risk factors, cauliflower, cholesterol, cognitive decline, cognitive impairment, colorectal, colorectal cancer, control blood sugar, coronary, coronary heart disease, dementia, depression, diabetes, diet, diet tips, ed, fight depression, food, gastric cancer, head and neck cancer, health, healthy eating, healthy fats, heart attack, heart disease, high blood pressure, liver cancer, low fat diet, lower triglycerides, lower triglycerides naturally, mediterranean diet, mediterranean diet benefits, mediterranean diet meal plan, mediterranean style diet, memory, mortality, neck cancer, nuts, osteoporosis, osteoporosis guidelines, prevent osteoporosis, Prostate, prostate cancer, strengthen bones, stroke, studies show, sugar, the mediterranean diet, Triglycerides, type 2 diabetes, vegetables, whole grains, your bones.